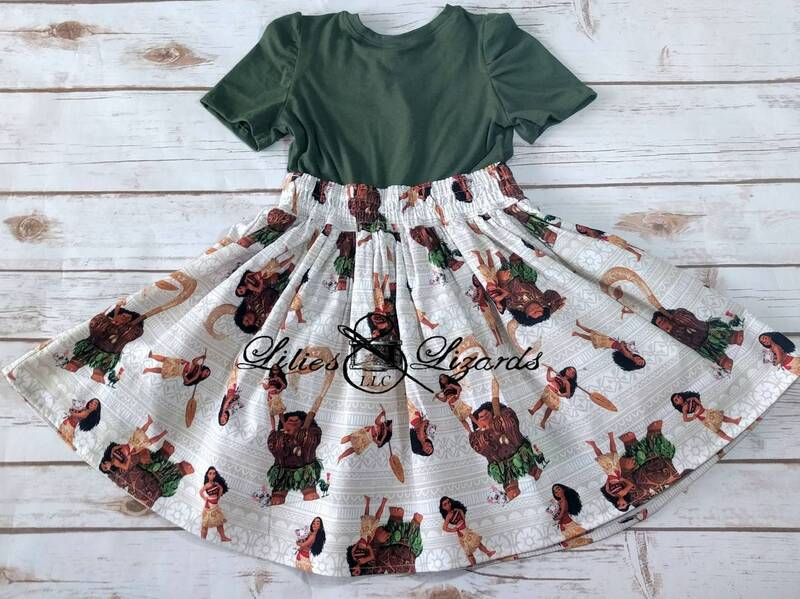 For the Moana and Maui fans, this fun dress is sure to please! Professionally finished with quality materials and a delightful, fun design. All fabrics have been prewashed and dried so your finished garment doesn't shrink. Dress top is crafted from soft, stretchy cotton and the skirt is woven. The waistband has elastic in the back and a flat front and the skirt is knee length. I'm happy to add length, just include in notes to seller. Please see the size chart below for reference. 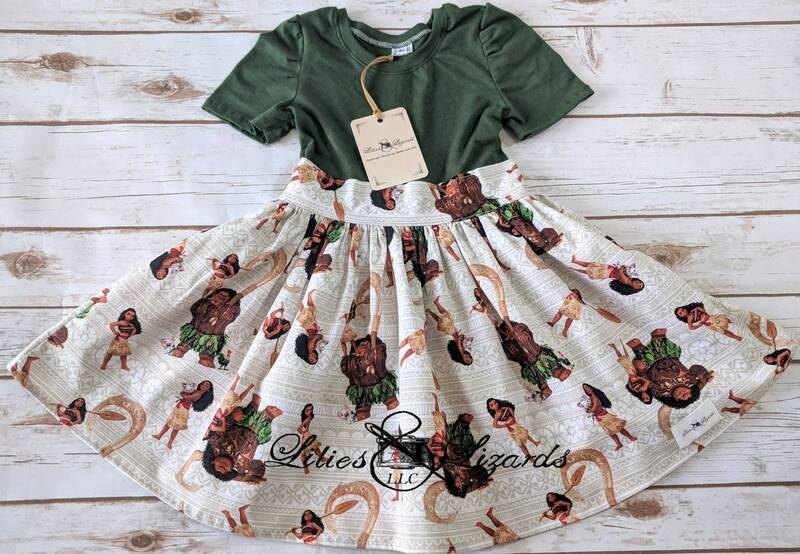 If your child does not fall into a single size, please select the size they normally wear and then include a chest and waist measurement in notes to seller so I can grade the pattern to fit. PM with any questions. 12-18m = Chest 19" Waist: 19.5"
18-24m = Chest 20" Waist 20.25"
2 = Chest 21.5" Waist 21"
3 = Chest 22" Waist 21.5"
4 = Chest 23" Waist 22"
5 = Chest 24" Waist 22.5"
6 = Chest 25" Waist 23"
7 = Chest 26" Waist 23.5"
8 = Chest 27" Waist 24"
10 = Chest 28.5" Waist 25"